Poppy Parker Fashion Teen, a 16" version of Poppy Parker. Последний раз редактировалось SmallSelena 22 май 2014, 21:39, всего редактировалось 9 раз. On a brisk spring morning Poppy is off on her way to a Go-See for a possible modeling assignment. She is wearing one of her favorite ensembles, a yellow dress with matching jacket and nubby coat to keep the chill away. She thought it would set off her lovely red hair. Poppy's matching yellow leather shoes and bag complete her look. It's a sunny fashion for her sunny disposition this morning. Now where is that taxi? She can't be late! Последний раз редактировалось SmallSelena 04 окт 2012, 08:06, всего редактировалось 2 раза. Poppy got the job! Poppy's the new face of Love Letters perfume! Picture it...Poppy wearing a stunning lilac party dress with gold and silver details. The wardrobe assistant put her in the most lovely white fur capelet for the shoot. Then they handed her a pair of metallic silver heels and a silver clutch and placed her on the set. After that, Poppy didn't need any help. There's a reason why she's the top teen model in New York. The owner of the perfume company loved Poppy's work so much they gave her the fur as a gift. Sweet, talented and confident, that's our Poppy! What’s a girl to do a on a lazy Saturday afternoon? She goes shopping with a girlfriend of course! Poppy is meeting Ginger Gilroy, one of her newest friends and a fellow teenage model. They are heading to one of the wildest clothing boutiques this side of the Atlantic. Poppy thought she’d play it casual today in blue and white houndstooth capris paired with a white lace crop top with tiny sequin details. Of course, her most treasured accessory is a gold heart necklace from Chip. She’s also taking her favorite love birds purse because she knows it’s cute, and it’ll make Ginger a teensy bit jealous. She can’t be perfect every day! Последний раз редактировалось SmallSelena 04 окт 2012, 08:06, всего редактировалось 3 раза. It's a new day and a new modeling assignment for Poppy. Poppy must capture the spirit of a young bride in love for a photo spread in Bride To Be magazine. Poppy wears an elegant bridal gown of satin and tulle with a delicate lace jacket featuring pearl buttons and beaded details. Her head is adorned with a lovely veil of silk flowers and tulle. A large diamond wedding ring and pearl drop earrings add the finishing touch. She can't help but think that one day she might be wearing a gown like this for real. Последний раз редактировалось SmallSelena 31 окт 2012, 11:30, всего редактировалось 2 раза. 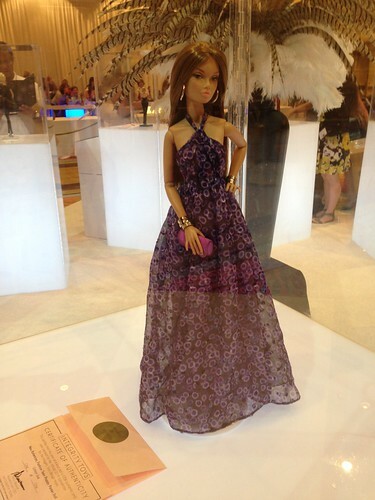 Introducing the "It's A Wrap" Poppy dressed doll from the Poppy Parker: Fashion Teen Collection! 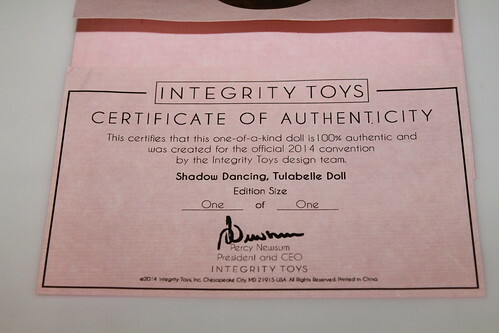 Exclusive to the Integrity Toys Convention which took place in Orlando Florida the last weekend of September 2012, Quantities are extremely limited, so don't miss out and bring Poppy to your collection today! The "It's a Wrap" Fashion Teen Poppy workshop kit is a 16" fully articulated vynil doll with rooted hair and applied eyelashes. Doll stand included. Yesterday Integrity Toys did their third reveal of the year, showing to WClub members a day ahead of the general public some new collections for fashion doll collectors, who received the updates on email which included, apart from the usual photos and descriptions, links to exclusive videos showing Carol Roth and Alain Trembley discussing and demonstrating the actual doll prototypes. 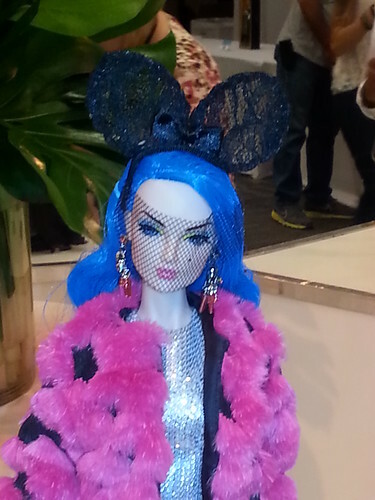 The first line to be shown was none other than the larger version of the popular Poppy Parker doll, Fashion Teen Poppy, who is in 1/4 scale instead of her smaller twin 1/6 scale. The four dolls of the collection were inspired by the four seasons of the year. Let's see them one by one. All four Poppies in this line were exquisite, a much better showing then its debut last year. The doll does indeed remind one of spring and the detail in the dress and accessories is really good. The bag is incredible. Последний раз редактировалось SmallSelena 31 окт 2013, 20:57, всего редактировалось 5 раз. Total Packaged Dimensions (Including Shipper): 18.5" X 7.5" X 3.5"
First of course is Spring, represented by Glad Game Poppy. She wears a green, white and blue dress with a wide-brimmed white straw hat and a coordinating white straw bag adorned with blue and green flowers. Her look is complete with white gloves and blue pumps. 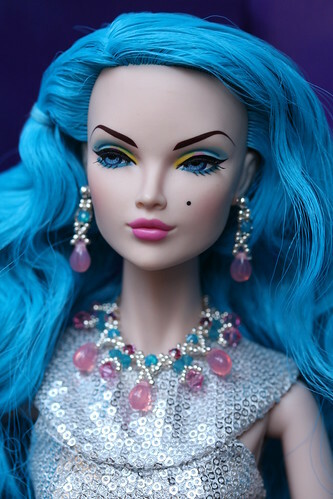 This is a 16-inch articulated vinyl doll with fully rooted, dewdrop blonde hair and hand applied eyelashes. A doll stand is included. For adult collectors 14 years and up. Последний раз редактировалось SmallSelena 23 июл 2013, 22:29, всего редактировалось 6 раз. The summer Poppy does remind me of one fine day. She wears a white dress with red and black polka dots, a red straw hat and read cat eye sunglasses. She finishes off the look with a red straw purse, red heels, white gloves and a red beaded bracelet. This is a 16-inch articulated vinyl doll with fully rooted scorching blonde hair and hand applied eyelashes. A doll stand is included. For adult collectors 14 years and up. Последний раз редактировалось SmallSelena 23 июл 2013, 22:29, всего редактировалось 5 раз. The Autumn Poppy wears a leopard print evening gown accented with a black belt and black opera length gloves. She carries a gold clutch and wears matching gold heels. To complete the look is a black faux fur wrap. This is a 16-inch articulated vinyl doll with fully rooted, autumn red hair and hand applied eyelashes. A doll stand is included. For adult collectors 14 years and up. Последний раз редактировалось SmallSelena 23 июл 2013, 22:30, всего редактировалось 3 раза. Rounding off the collection is winter! Poppy wears an ensemble consisting of a yellow sweater with black stirrup pants, an animal print coat, earmuffs and yellow gloves. The outfit comes with a pair of black boots with white faux fur trim and white pompoms. This is a 16-inch articulated vinyl doll with fully rooted raven hair and hand applied eyelashes. A doll stand is included. For adult collectors 14 years and up. We know that whenever we make a change to a head sculpt it can be controversial, but we wanted to make this change to the Tulabelle character as we felt that it was time to age her slightly to give us more fashion options and choices. We gave Tulabelle a new head sculpt with more realistic proportions and details. We hope that you'll love the new head sculpt as much as we do. - David Buttry. Available for Pre-order from Any Authorized Integrity Toys Dealer Starting Today! PREORDER THROUGH YOUR FAVORITE IT DEALER STARTING TODAY!